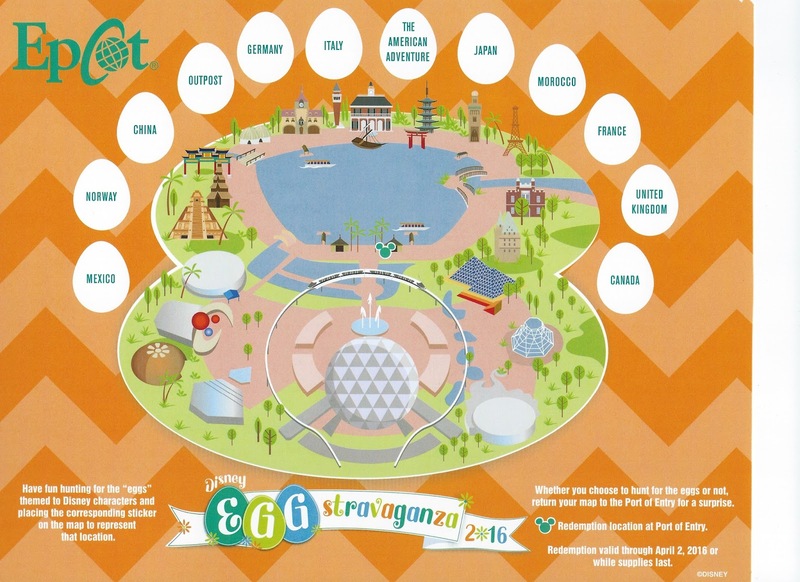 Have you ever experienced one of Epcot's search activities? They involve a map, some stickers, a keen eye, and a prize at the end! These special search activities have been offered during some of Epcot's special event periods. 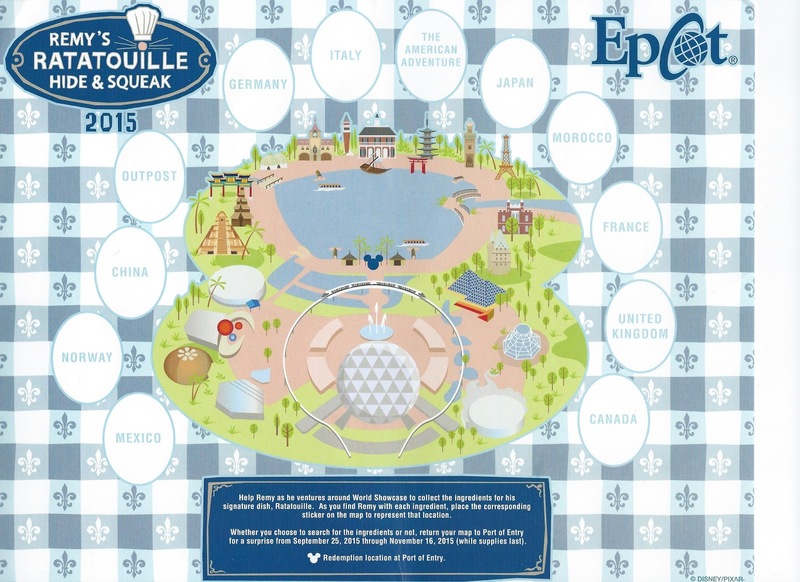 A map and sticker set can be purchased for about $6 at various locations in the park. The idea is to search around the park for a featured item hidden in each country. 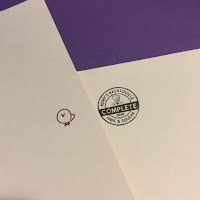 You then place a corresponding sticker on your map, to track your progress. Bring your map back to a redemption location (either full of stickers or not- finding the hidden items is not actually required, though it's definitely more fun! ), to claim a prize. You get to keep the map, though it's stamped on the back to show you've received your prize. 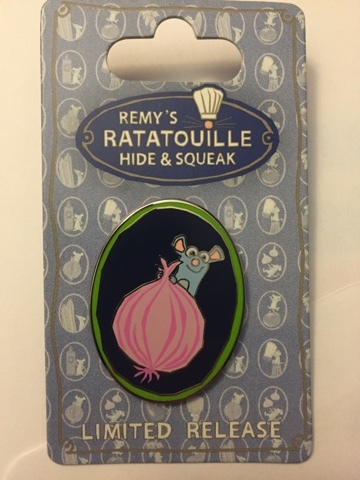 My first search was Remy's Ratatouille Hide & Squeak, during the 2015 Food & Wine Festval. While strolling World Showcase, I had to keep my eyes peeled for Remy, who was hiding throughout the countries with ingredients for ratatouille. Can you spot him with his garlic, hiding among the flowers in France? which could be placed on the map to chart your progress. of various ratatouille ingredients. I went with the onion! I just completed another search- this time it was Disney's EGGstravaganza, offered during the 2016 Flower & Garden Festival. This one was an old fashioned Easter egg hunt! 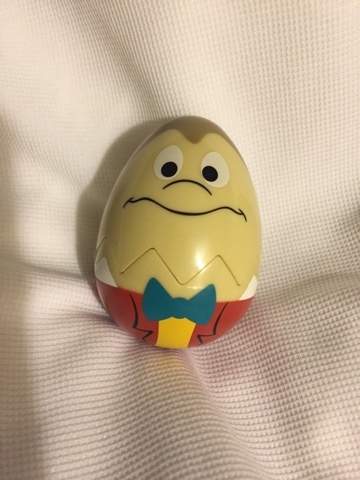 Eggs representing various Disney characters were hiding all around World Showcase. Some were easy to spot, while others were a bit more challenging. Have you done a World Showcase search? What do you think about the pin and egg prizes?